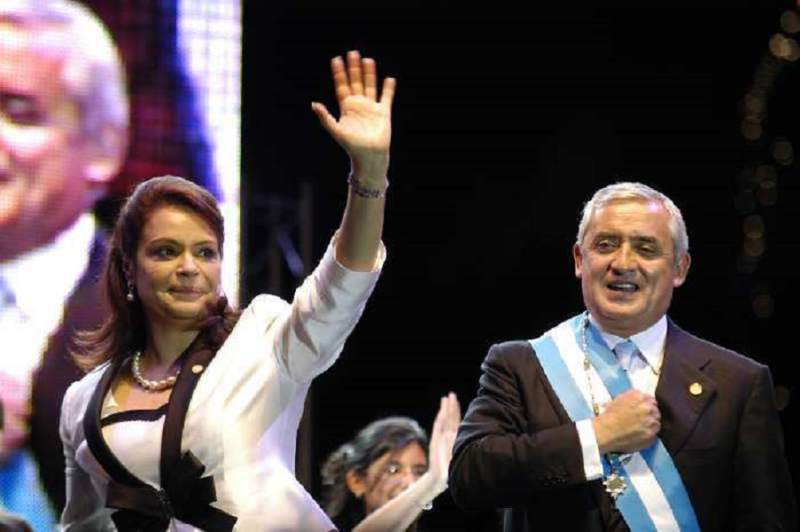 Former Guatemalan President Otto Perez Molina and his vice-president, Roxana Baldetti, took at least $25 million in bribes from Spanish port company TCB, an anti-corruption commission alleges. TCB (Terminal de Contenedores Barcelona) won a contract to operate a new container terminal on Guatemala’s Pacific coast for 25 years. Otto Perez Molina was arrested in September after standing down amid anti-corruption protests. The former leader is due to appear in court next week. He and Roxana Baldetti deny wrongdoing. Attorney General Thelma Aldana said Otto Perez Molina started the approval process for the $225 million project immediately after his election in November 2011. There were no competing bids. Otto Perez Molina and Roxana Baldetti “formed a criminal group”, Thelma Aldana added. Thelma Aldana made the announcement alongside the head of the UN-backed International Commission Against Impunity in Guatemala (CICIG), Ivan Velasquez, who headed the investigation. The commission was set in 2006 to help Guatemala reform its justice system and confront criminal gangs that had infiltrated the state. The Spanish executive in charge of the local branch of TCB, Juan Jose Suarez, has been arrested. Juan Jose Suarez said he had no idea why he had been detained, EFE news agency reported. Otto Perez Molina resigned on September 2 and was arrested a day later. He said the contract offered the best deal for the country. Anti-corruption protests had forced Roxana Baldetti to stand down in May. In a separate scandal, Otto Perez Molina and Roxana Baldetti were accused of running a bribery scheme at Guatemala’s customs, which became known as La Linea, or The Line.